There’s a certain mystique surrounding archaeological exploration. We love to fantasize about finding loot and escaping certain doom while exploring crumbling, mummy-filled tombs in dangerous, faraway places. Will you get out alive with your loot, or will you, well… die? The Adventurers: The Pyramid of Horus lets you play out your pyramid looting fantasies without exposing yourself to actual snakes, mummies, and falling rocks. The Adventurers is a push-your-luck game. You’re trying to balance your desire to get more treasure/points against the need to get out of the pyramid before the falling blocks seal you in forever. (Not unlike the dilemmas encountered in real exploration.) The game is played over an unspecified number of rounds and each round consists of six actions, summarized below. 1. Adjust Wound and Load Level (WLL). This is the genius mechanic of this game. Each player inventories all of their wound and treasure cards. If your WLL is too high, you can discard any of your treasure cards to lighten the load. Wound cards cannot be discarded, but you can heal your wounds if you have the appropriate equipment cards. The WLL simulates the extra weight and pain that an explorer would feel if he was trekking through a pyramid with a load of loot on his back and some injuries. The lighter your WLL, the more you can do. The heavier your WLL, the less you can do. 2. Determine the number of actions. The Dice Keeper rolls all five dice and each player gets one action for every die that is greater than or equal to their WLL. 3. Perform actions. There are two basic actions: Search and move. Generally each costs one action point and can be divided up however the player chooses. To search you simply draw a card from the appropriate deck. Special rules apply to searches performed in the Mummies’ Corridor. You may have to roll and re-roll dice Yahtzee-style to pick door locks, or use multiple actions to open sarcophagi and take treasure. 4. Move the mummies. 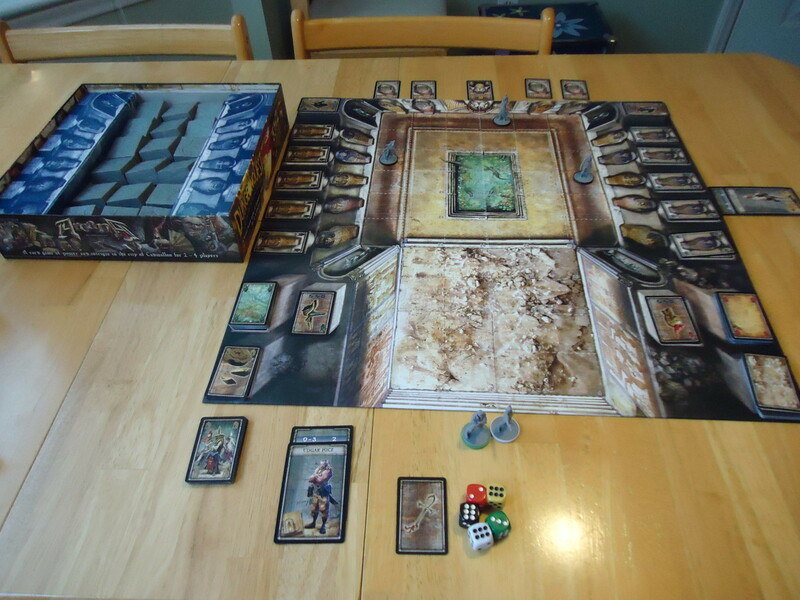 The Dice Keeper rolls all five dice and each mummy moves one space for every die that is greater than four. If an Adventurer is touched by a mummy, they suffer a wound that cannot be healed. If a mummy touches a player who already has too many wounds, that player becomes a mummy for the rest of game. 5. Place a stone block. The Dice Keeper randomly selects one block from the supply and places it on the appropriate space on the board. If a block falls on an Adventurer, they suffer a wound. If it falls in such a way that the Adventurer can no longer escape the temple, that Adventurer is sealed in. 6. Pass the dice. The Dice keeper passes the dice to his left and that player becomes the Dice Keeper for the next round. Play proceeds through these rounds until all payers are either dead or safely out of the pyramid with their treasures. The winner is the player who gets out of the temple alive with the most points. Treasure cards award victory points and there are bonuses for having the treasures and idols of multiple gods. A Grand Adventure or A Bad Day at Work? 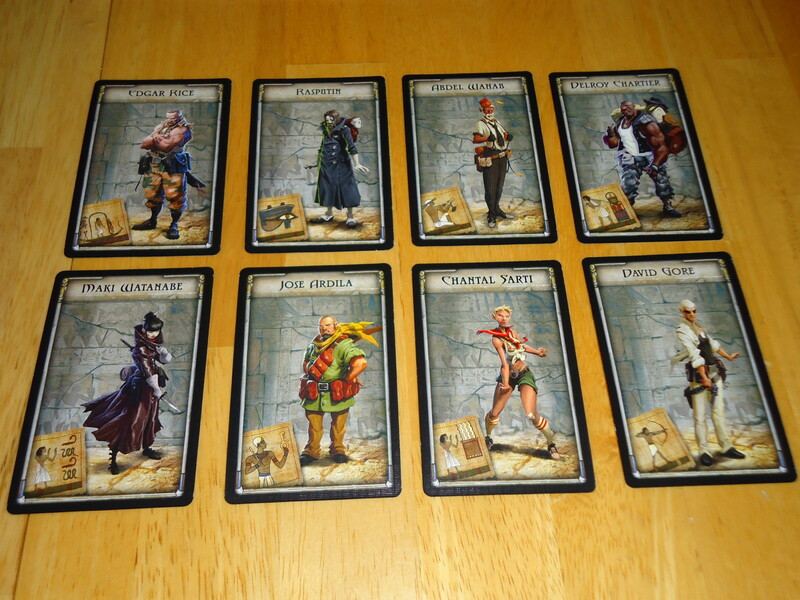 The components in The Adventurers are attractive and fun. The board is a detailed rendering of the interior of a pyramid. The minis are detailed and sturdy. While plastic, they are not easily bent. 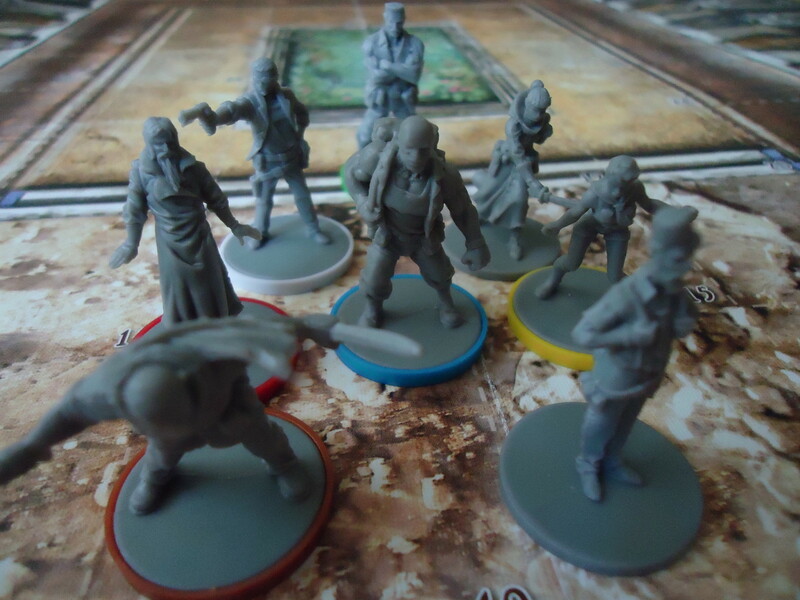 The game comes with unpainted minis and here you have two choices if you prefer painted minis. You can paint them yourself or you can purchase a set of pre-painted minis for around $15 – $20. I’m cheap so I didn’t upgrade, but the pre-painted minis do look nice. Then there are the plastic pyramid blocks. These are solid pieces of molded plastic made to look like actual stone blocks. Fantasy Flight could have just gone with smooth plastic cubes, but they put some detail into the blocks. These are not only functional in the game, they’re entertaining to play with between turns. Kids love them. The blocks are good quality plastic. And fun to play with! The blocks fit neatly into the box for easy access during the game, but I would recommend getting or making a cloth bag to use during gameplay. If you want to play multiple games you’ll need to shuffle the blocks between games and this is not easy with them packed into the box. A bag from which you can draw blocks makes shuffling much easier than dumping the blocks on the floor and replacing them in the box. My only complaint about the components is this: I said above that all of the cards have a place on the board with one exception. 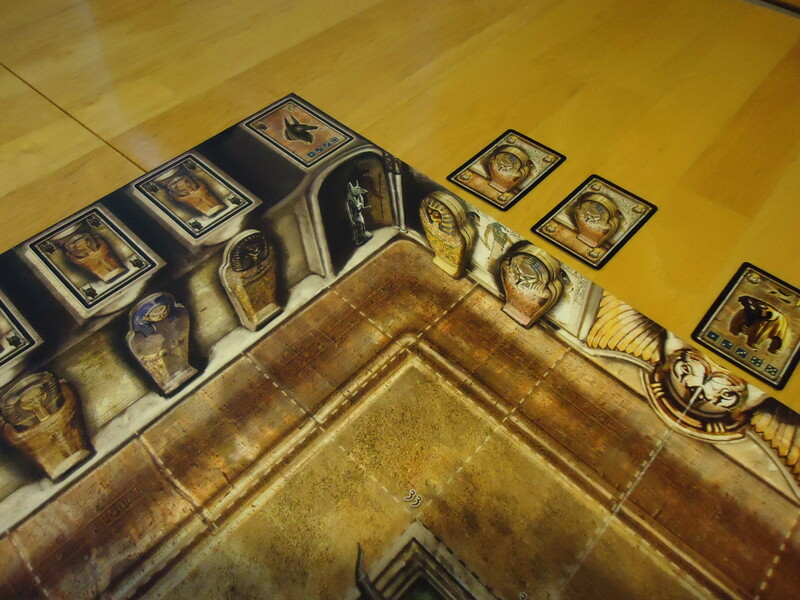 In the Mummies’ area, the treasure cards are placed on a marked space behind the corresponding sarcophagi. There are marked spaces for the cards along the left and right sides of the board. Along the top, however, where the Horus treasures go, there are no marked spaces for the cards. You must lay them on the table. It’s like a piece of the board was chopped off accidentally. This certainly doesn’t break the game in any way, but it’s visually annoying. I understand that they probably had to do it to create a board that would fold and fit into the box, but in a game where everything else is visually stellar, it’s a bit of a letdown. Why must the Horus cards rest on the table when all the other cards have pretty spaces on the board? The game itself is just plain fun. It’s not a brain burner, it’s heavily luck dependent, and there’s limited opportunity for strategy, but there is something fun about sending your explorer into the pyramid, hunting for treasure, and dodging mayhem. It’s like playing in a movie set with your Adventurer in the starring role. The Adventurers plays fast. The box says 45 minutes and that’s about right for a four player game. We’ve finished two player games in about thirty minutes. While those are general guidelines, the game time is variable due to the random order in which the blocks appear each round. 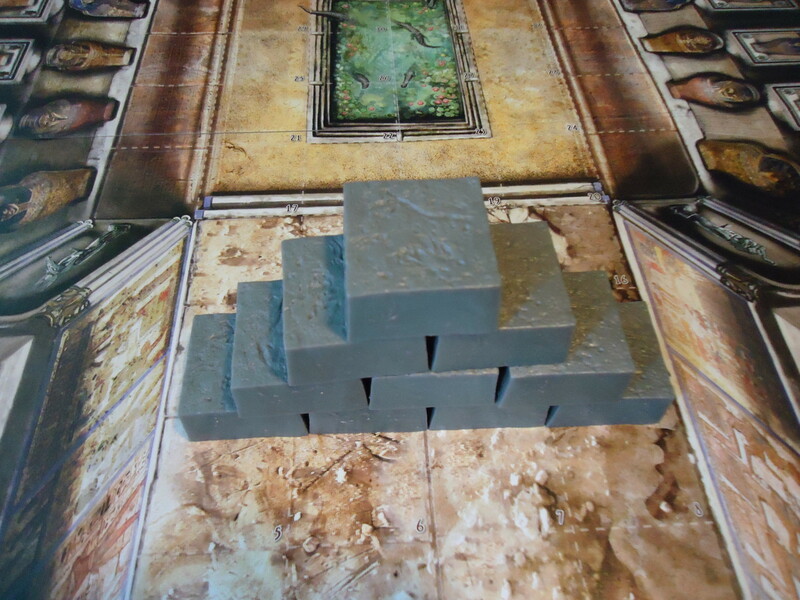 It’s possible to have a game end within four rounds if four blocks come out that close off the pyramid. 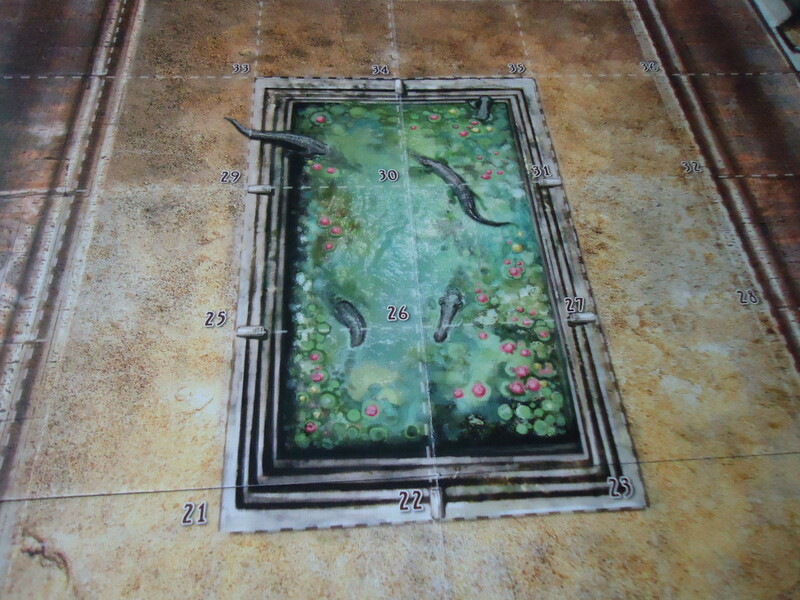 The game plays best with three or four people, although it accommodates 2 – 6. With three or four players there’s stiff competition for treasure and equipment, but not so much that you feel like everybody else has gotten the good stuff by the time your turn comes around. Rounds are longer but not punishingly long. With five or six players everything feels too chaotic. While still fun, higher player counts take away what little opportunity for strategy exists in the game. Treasures and equipment are grabbed up too rapidly, it’s difficult to gauge your opponents’ plans, the rounds are too long, and downtime begins to become a problem. The two player experience is solid, as well. With just two players there’s a little more opportunity for strategy. The treasures don’t run out as fast so you have a bit more time to think about the best way to gain points and stay safe. The game is fast and there’s almost no downtime. However, the two player game can end suddenly if one of you gets trapped in the pyramid. When playing with two players, I recommend that each person control two adventurers. If one of your adventurers dies you may still be able to get the other one out, keeping the game going a bit longer. Which brings me to a negative of the game. Player elimination is a real possibility. If you get sealed in or accumulate too many wounds, your game is over. If you suffer too many mummy wounds your character plays as a mummy the rest of the game. If you end up a mummy, you at least have something to do during the rounds, but you’re no longer playing for treasure and victory. That you can be eliminated is a side-effect of the push-your-luck gameplay but unlike other such games, when your luck runs out in The Adventurers there is no comeback or way to take a penalty and move on. 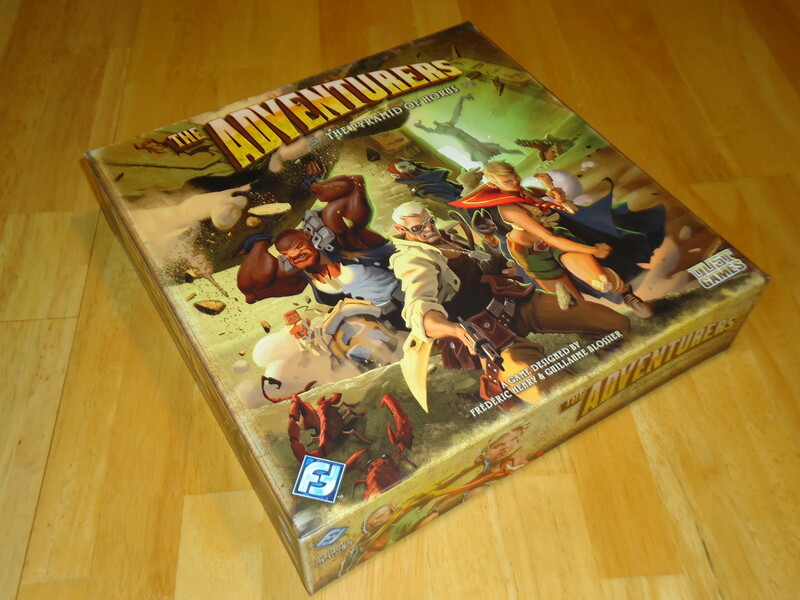 The Adventurers is best enjoyed as a family or gateway game. The box states an age minimum of thirteen, but since there is very little reading or math involved, much younger kids should have no trouble playing. They might need a little help to understand some of the special rules in the Mummies’ Corridor and sorting out their WLL, but everything else is move, roll dice, and pick a card. There’s nothing here that would prove too difficult for non-gamers to understand, either, making it perfect to pull out at family reunions and holidays. A gathering of hard-core gamers looking for heavy strategy might have fun with this for a game or two but would quickly find it tiresome. The game is almost entirely dependent on luck which leaves you feeling like almost everything is out of your control. While you can strategize how far into the pyramid you should go and how long you should spend in each area, how to manage your WLL, and your odds of getting sealed in on any given turn, most of your actions will be guided by luck. A dice roll determines how many actions you get and how far the mummies move each round. Card draws determine whether you get treasure, useful equipment, or wounds. A random draw determines which blocks come out and where they go. If you hate randomness, you’ll probably hate The Adventurers because it’s almost entirely random. It might make for a fun warmup or cool down game on game night, but it won’t be the main attraction. Watch out for that croc! We love The Adventurers at our house. For us, it hits the right mix of engaging theme, quick play, and very light strategy. It’s a fun romp through a Mummy-like movie set and it doesn’t pretend to be anything more than that. It’s an easy experience after a difficult day and it’s a good choice when family visits or for casual get-togethers. 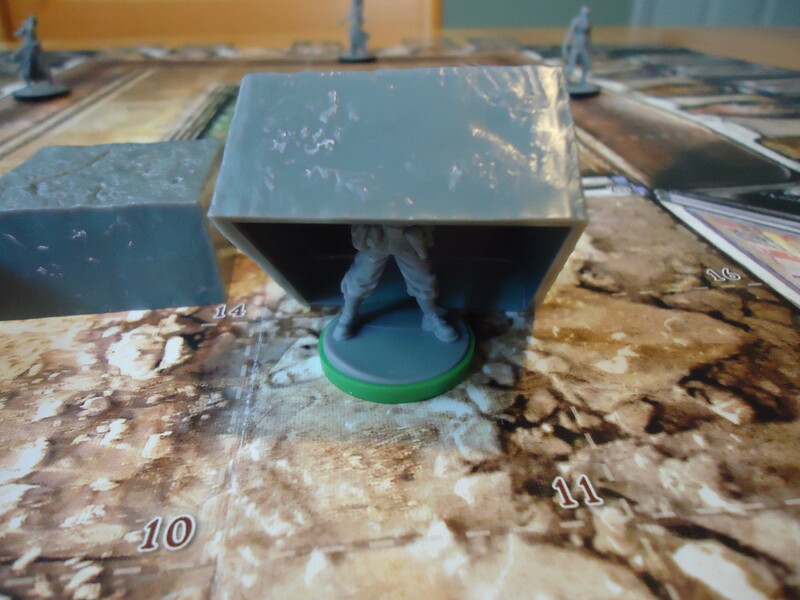 It’s escapism in a board game. Look elsewhere if you’re looking for something heavy and with zero randomness. 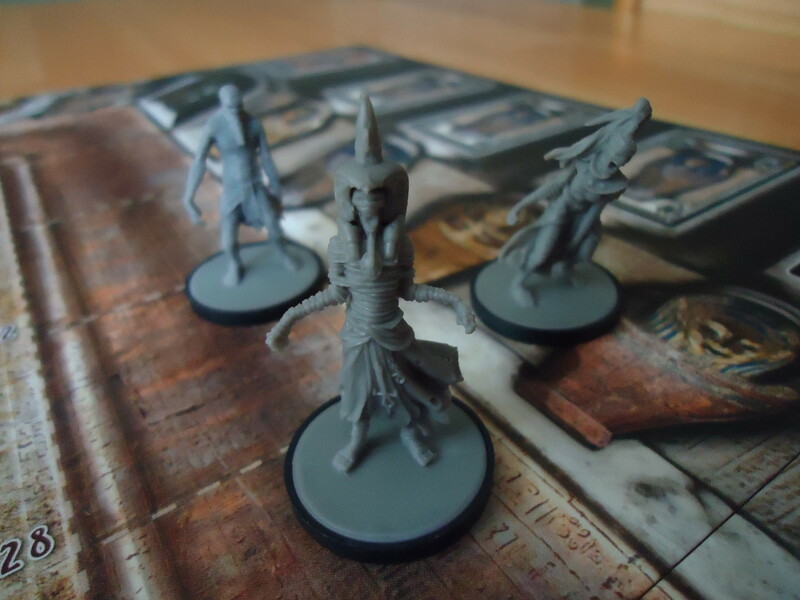 If you just want to have some quick fun looting a pyramid, The Adventurers: The Pyramid of Horus might be for you. Apparently, this game is impossible to find anymore. Bummer. Sounds like a fun one to try.